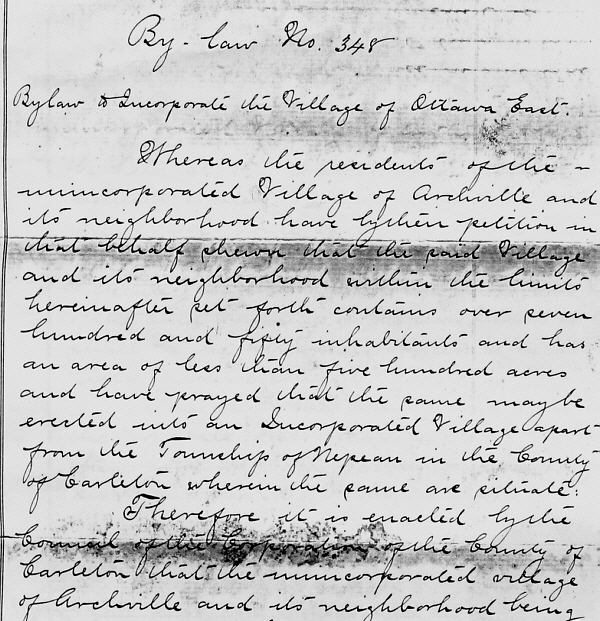 The bylaw that established the boundaries of the incorporated Village of Ottawa East was 2 pages of 8.5 x 14 inches in length. 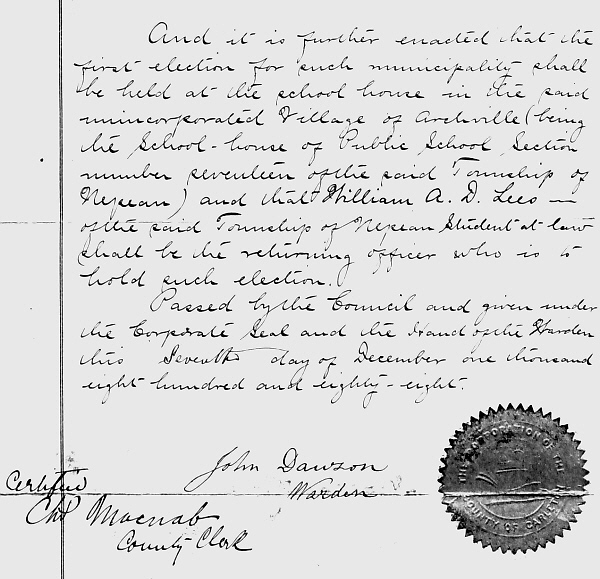 The scans listed below were made of a photocopy of an original held by the City of Ottawa Archives. 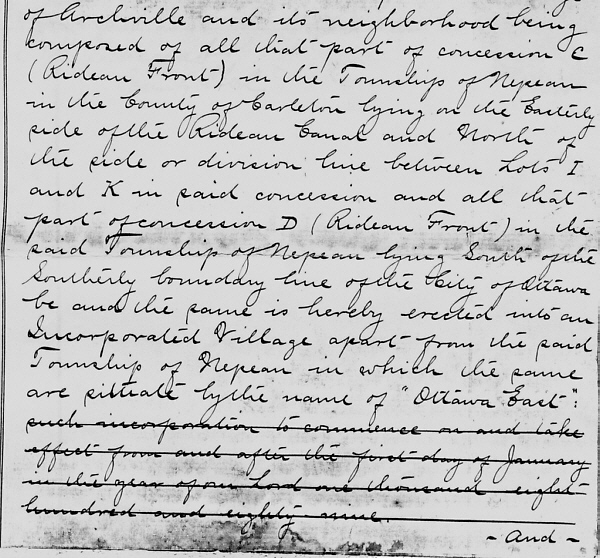 Given these limitations, the document was split (digitally of course!) into 3 parts. Correct use of your back button will have the whole thing unfold as it should.